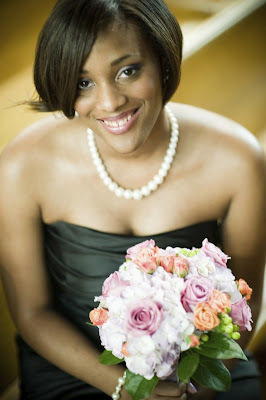 Chasity is one of our brides who was married on May 3rd. 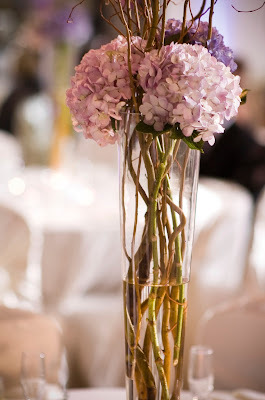 Take a look at how we used lilacs in her bouquet and tied the lilac color all the way through to the reception. 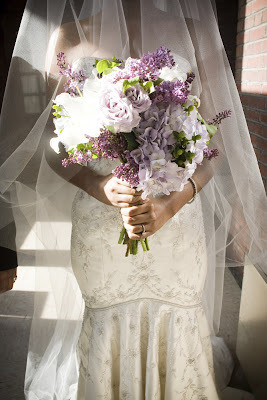 Chasity’s bouquet included lavender hydrangea tucks, purple lilac, white stargazer lilies, lavender roses, and jade berries. What a perfect combination for spring! 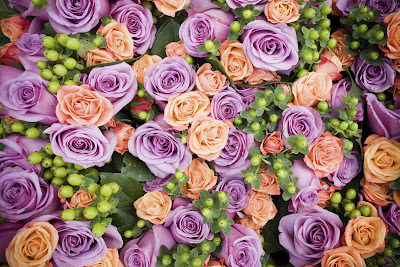 The bridesmaids’ bouquets carried through the lavender/lilac color with the added touch of orange spray roses and the jade berries from the bridal bouquet. 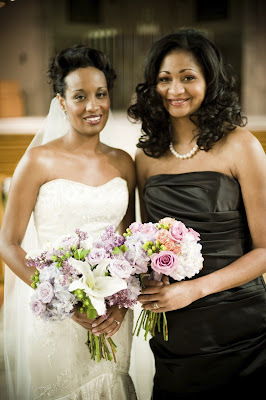 The purples and oranges made a great contrast for all the wedding party flowers. 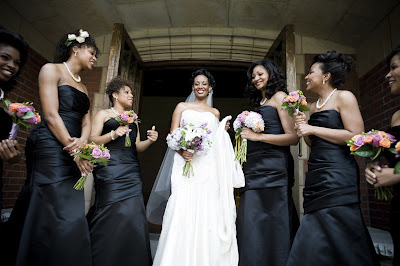 Lavender hydrangea clusters lined the aisle at UMSL Provincial Chapel. 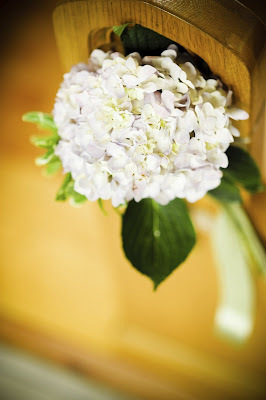 The hydrangea clusters helped give the gorgeous bride a grand entrance. 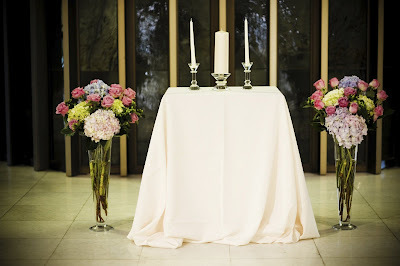 The altar was framed by two trumpet vases filled with all the wedding flowers; hydrangea, roses, berries, etc. 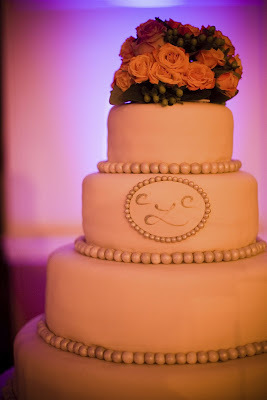 Purple, orange, and green were seen again at the reception. 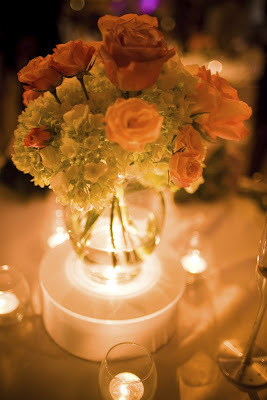 Two different centerpieces were used on the guest tables. 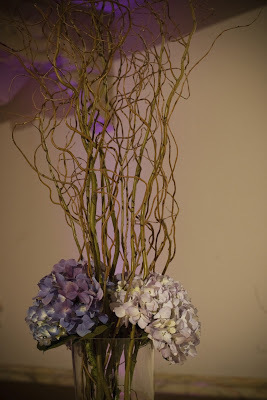 Half were these tall trumpet vases with tall curly willow and lavender hydrangea at the the base. 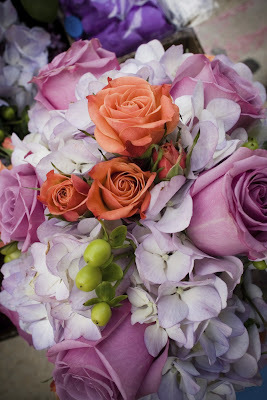 The other half had these low arrangements with green hydrangea, purple roses, and orange spray roses. 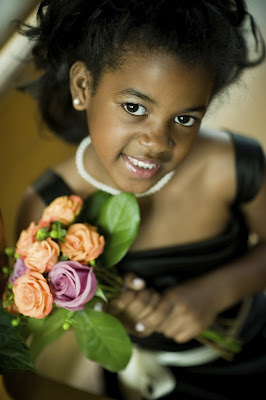 Thanks to Sabrina with Proposing Dreams for coordinating yet another beautiful event! 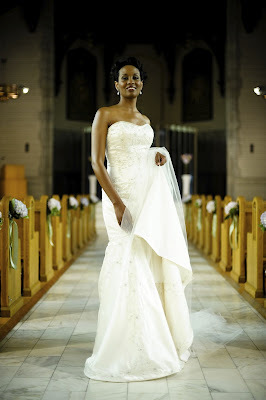 Wishes of happiness to the bride and groom from all of us at Sisters! !